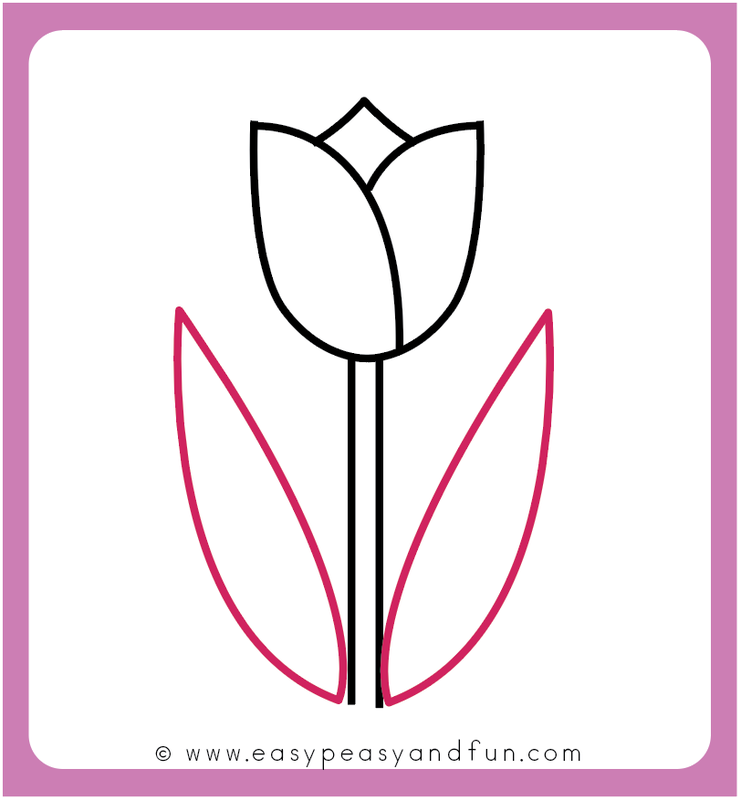 Learn how to draw a tulip with our easy step by step drawing tutorial. 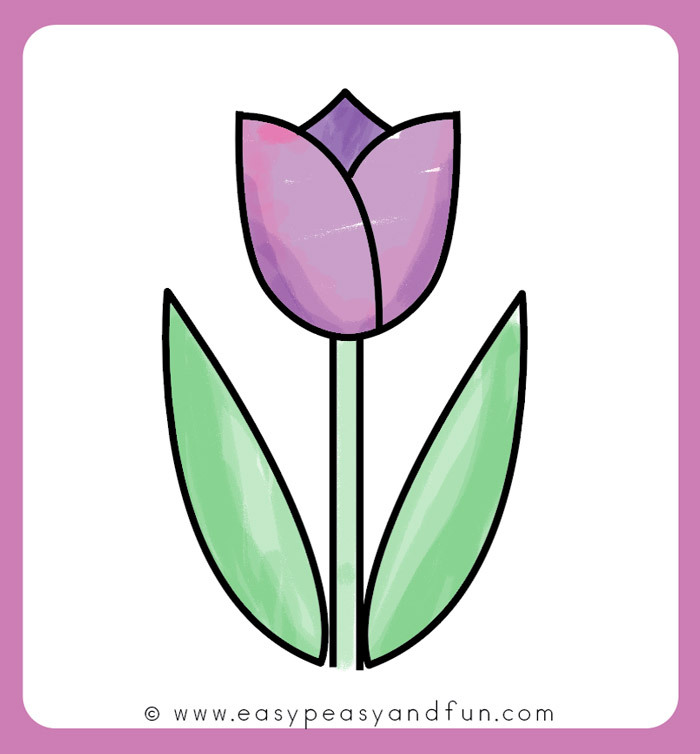 This tulip drawing is suitable for young kids and is a perfect one for beginners too. 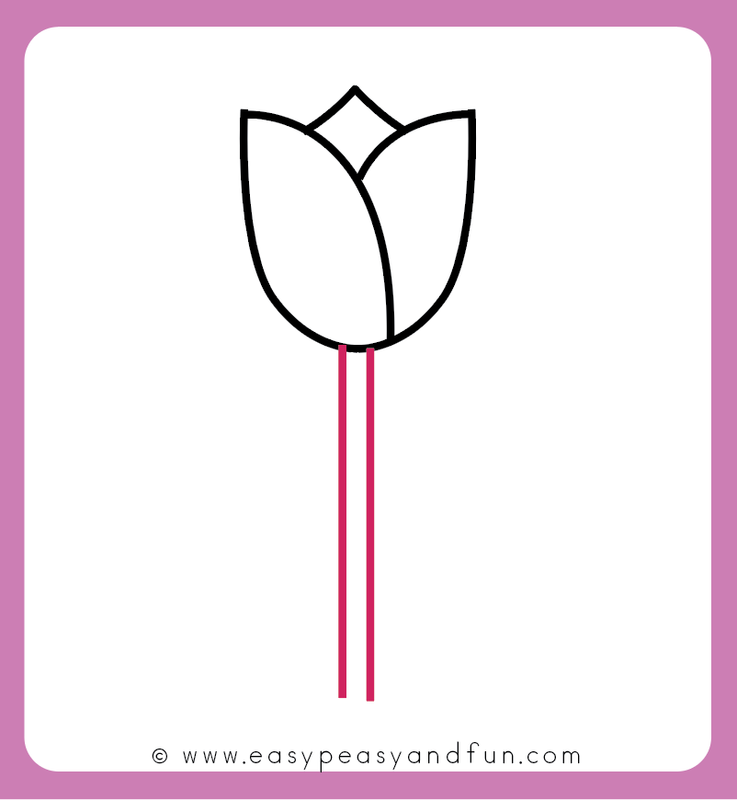 So if you are teaching a class, or just want a simple tulip to draw on your greeting card, do give this tutorial a go. 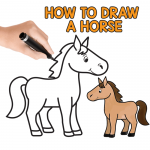 Once done with this one go check all of our other how to draw tutorials. 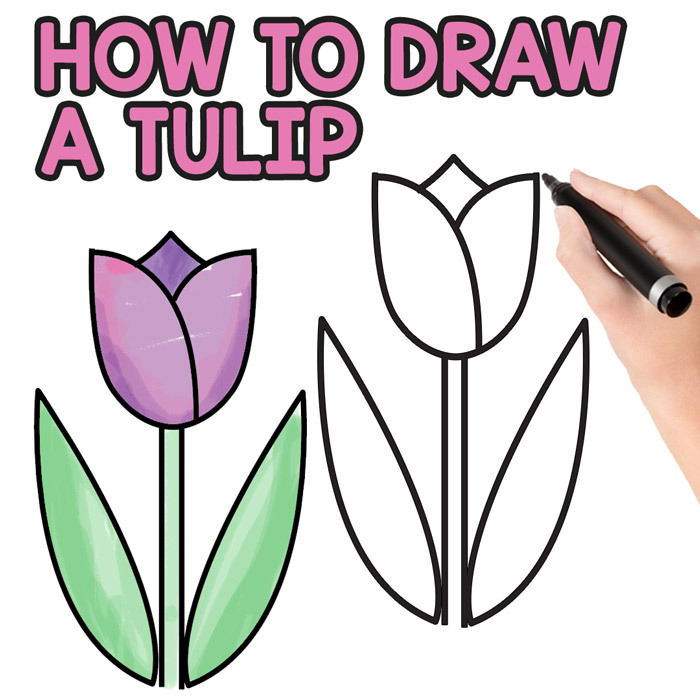 In this tutorial you will learn the easiest way to draw a tulip. 6 simple steps and you are done. 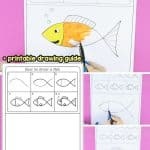 Even more, most of the steps have super simple and familiar shapes so this is the perfect project to give the kids to draw to build their drawing confidence. Once they are more confident why not have them learn how to draw an easy rose. Draw a curved line. Start at the top (left or right) and draw the line, bringing it to the bottom of the U shape. Now draw a curved line from the other side. 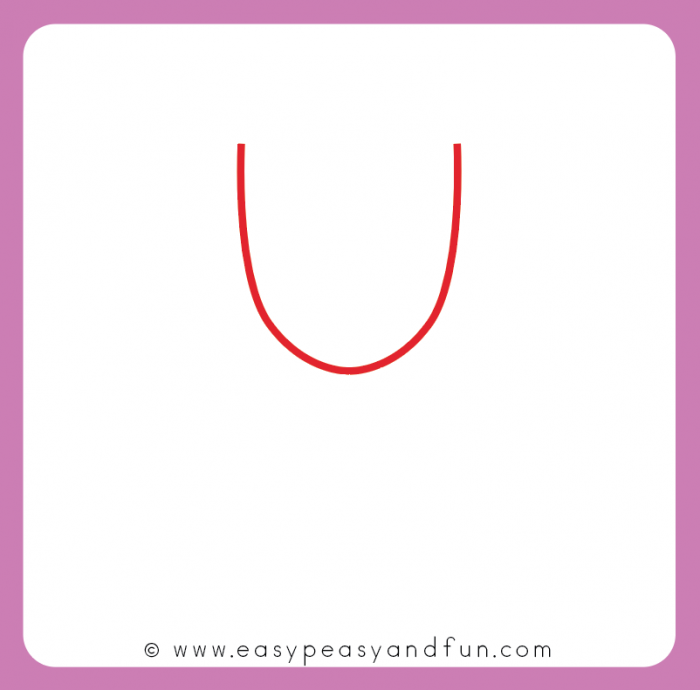 There are many ways you can end the line – it can touch the line from the previous step, or by it touching the U shape. All is OK. 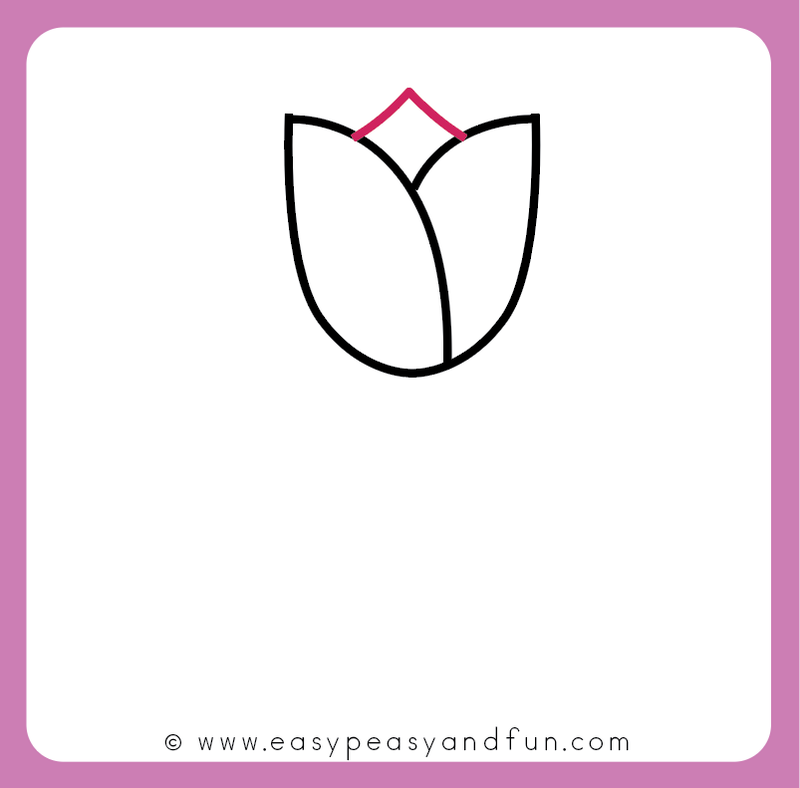 Draw the last part of the tulip blossom. Draw the stem. Two straight lines from top to bottom. 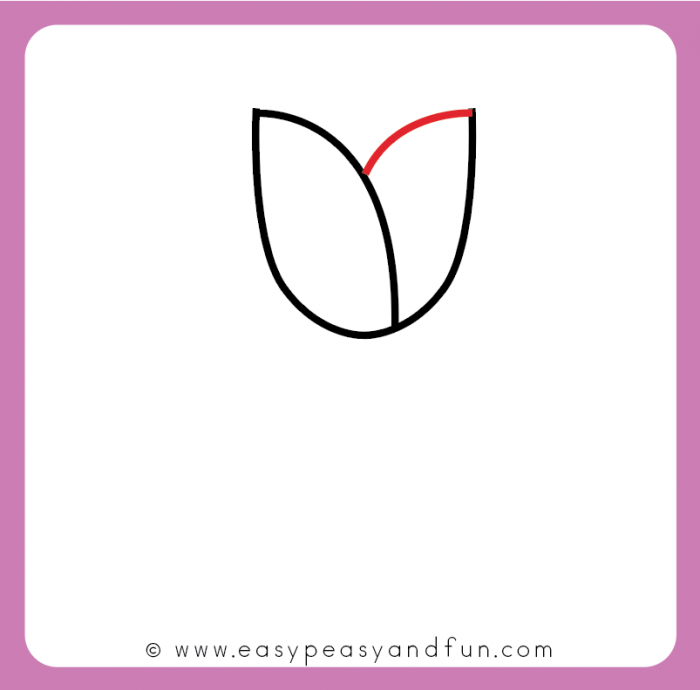 Finish up your tulip by drawing a leaf or two. Completely optional, color in your tulip drawing.